“We talkin ‘bout peace! A piece of yours, a piece of mine. A peace of mind! 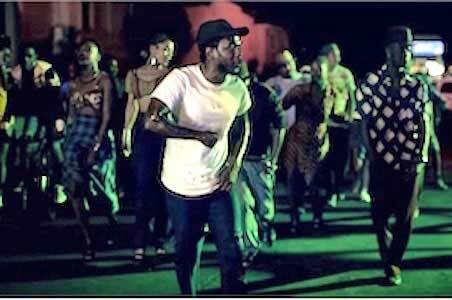 One nation, under a groove!” These words interrupt the opening party scene of Kendrick Lamar’s music video for “i”. The Carlos Santana-esque beat immediately kicks into high gear as the song begins, and Kendrick leads his congregation of partygoers into the streets of Compton. He raps about loving oneself in spite of what surrounds you. 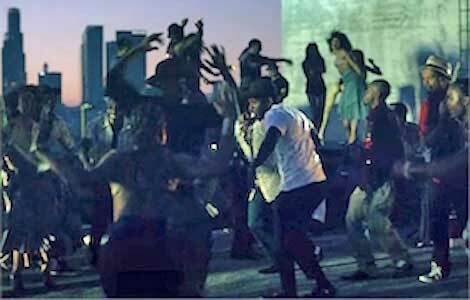 In the face of danger in the streets, Kendrick and company can’t be kept down, dancing throughout Compton and onto a Los Angeles rooftop. Kendrick eventually leaves the group and is driven through Compton by himself, where he ends up back at the club where the whole endeavour started. Except now he is alone, and is able to decompress. 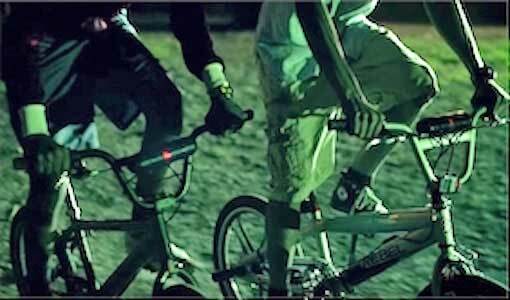 Kids wearing chucks while riding their bikes. Kendrick Lamar is the undisputed king of hip-hop right now. Widely regarded as the best rapper in the game, his first two studio albums have become certified classic. Born in Compton, CA, the rapper otherwise known as K.Dot grew up listening to N.W.A., Tupac Shakur, & Eminem and was inspired to get himself out of the situation life gave him. He used his extreme intellect and wit to crafts raps that outshined any other artist, and through hard work and determination has become a certified legend. He’s become a hero in his community, and a shining example of what can happen if you believe in yourself. Off to the right, Kendrick’s guitarist wears black & white chucks. The video takes place in Compton and Los Angeles so chucks abound. There are a few members of the party wearing various styles of chucks. Kendrick’s guitar player is the prominent of them wearing a pair of black and white Chuck Taylors under his tan dress pants. Kendrick himself has been known to wear chucks from time to time, but does not in this video instead opting to wear a pair of black dress shoes. Regardless of what is on his feet, Kendrick Lamar’s “i” is an uplifting and infectious song with a visually interesting music video. The Compton congregation moves to the rooftop.